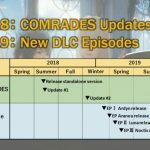 On the official Japanese Twitter account for Final Fantasy XV, Square Enix announced multiple release dates for various types of FFXV content coming in early June. 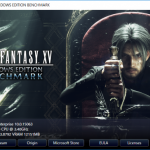 Mod Organizer: The official mod tool for Final Fantasy XV: Windows Edition will launch for PC on June 7th, allowing players to create their own content for FFXV. 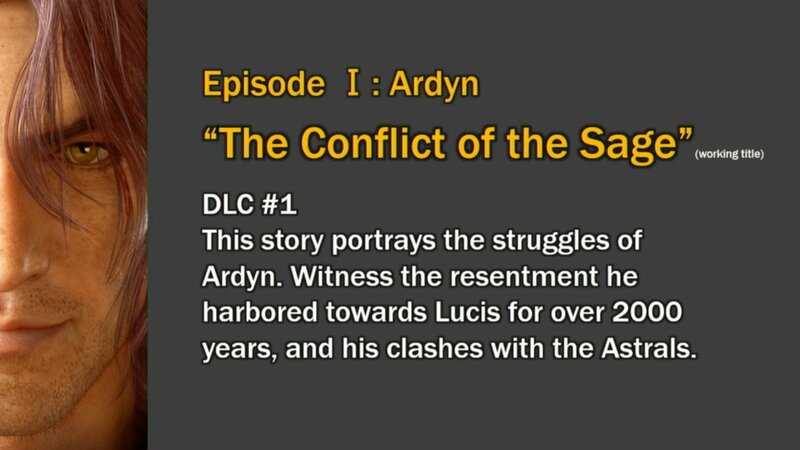 The “Party Pack” downloadable content: This DLC contains items exclusive to Multiplayer Expansion: Comrades, and will include the following customization items for your avatar: “Noctis Mask,” “Prompto Mask,” “Gladiolus Mask,” “Ignis Mask,” and “Birthday Glasses.” This DLC will launch for Playstation 4 and Xbox One on June 5th. 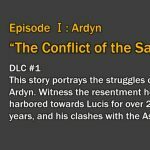 Final Fantasy XV Pocket Edition for Windows: The Mobile version of FFXV is getting a Windows 10 release and will be available on June 6th. 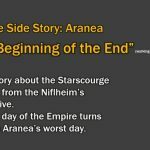 Patch Updates: A new patch update will be available on June 7th, and includes the ability to skip cutscenes in Chapter 3, bug fixes and… A new recipe! Hajime Tabata, director of Final Fantasy XV, attended a fan greeting event and one fan who was present shared a few words from Tabata via twitter. It seems Tabata is thinking about adding a couple new endings to FFXV, and decided to ask fans what they thought about the idea. 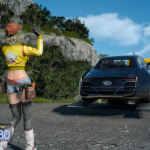 Tabata has been thinking about Final Fantasy XV’s future and what comes next, especially since they have extended the content roadmap into 2019, but for the addition of a happy ending, that is something he’s deciding on after looking at the reactions from fans. Beyond that, however, no further information was shared. Final Fantasy XV: Royal Edition is set to release for PlayStation 4 and Xbox One on March 6, with the Windows Edition also releasing on the same day for PC. If you’re looking to learn more about the upcoming PC release, Square Enix is releasing a free playable demo which players can try out. Head here to learn more. 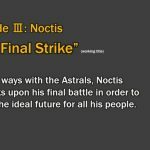 Fans of the action RPG mobile game King’s Knight -Wrath of the Dark Dragon- can now enlist Final Fantasy XV’s Noctis and his brothers-at-arms (Gladiolus, Prompto and Ignis) in a limited special crossover event starting February 21st and lasting until March 2nd, 2018. 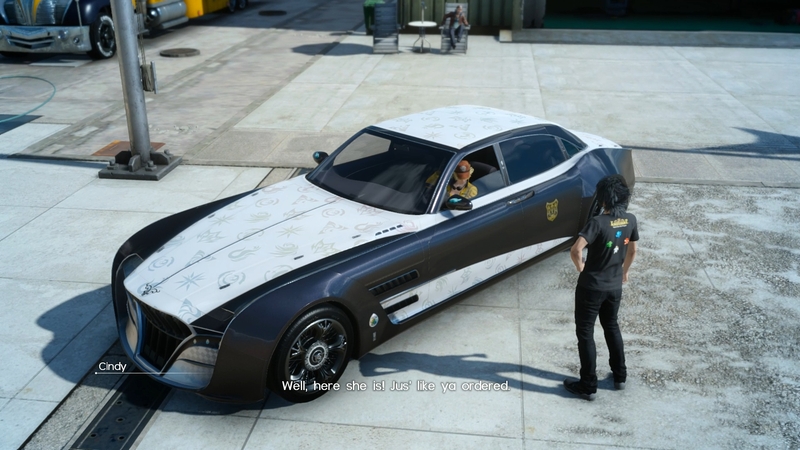 During the event, players are randomly matched with the four main heroes of Final Fantasy XV in new cooperative-play episodes complete with voice acting. 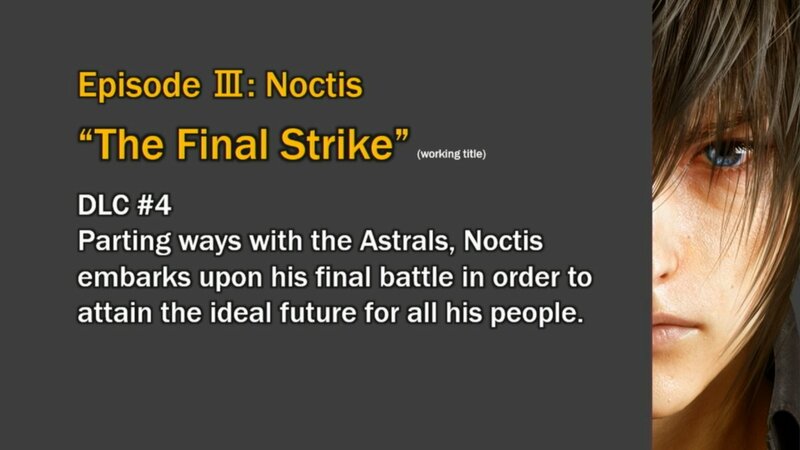 Players can receive direct messages on the message board and listen to familiar banter between Noctis and his friends as the episodes progress. 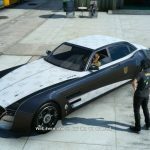 Players will also collect “War Fellowship Tokens” after completing a multiplayer quest, and can exchange them for items that can be used in Final Fantasy XV. 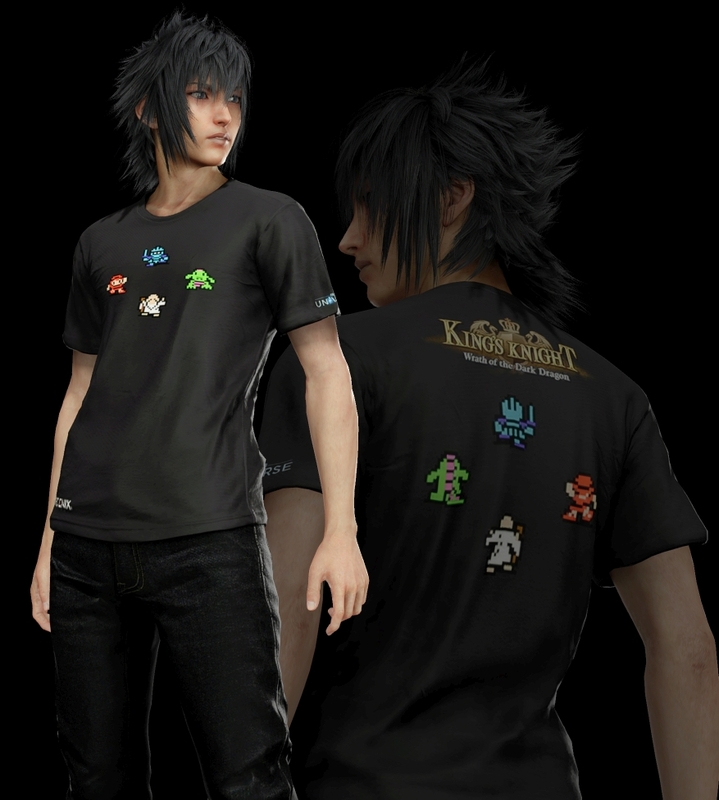 New outfit for Noctis: A King’s Knight-themed T-shirt for Noctis that boosts his tolerance against the elements. 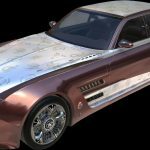 Regalia stickers: Customize the look of the Regalia car with custom King’s Knight-themed stickers. 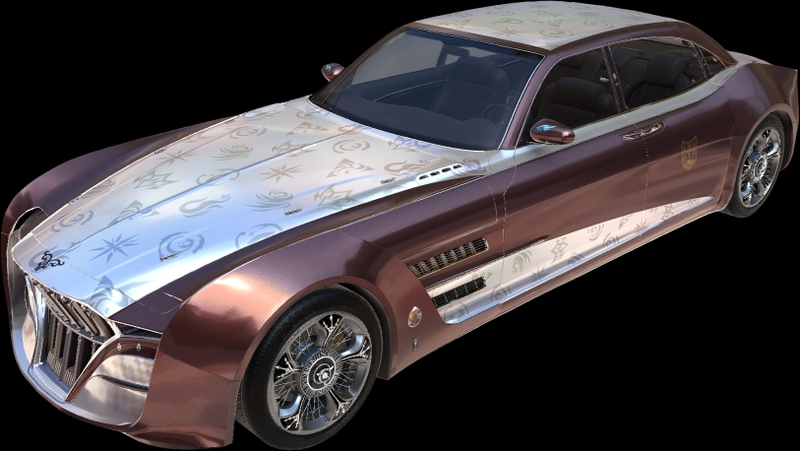 Regalia music: Songs from the King’s Knight soundtrack will be playable inside the Regalia. King’s Knight -Wrath of the Dark Dragon- is now available for free on iOS and Android devices. Final Fantasy XV Pocket Edition is now available worldwide for android and iOS devices. 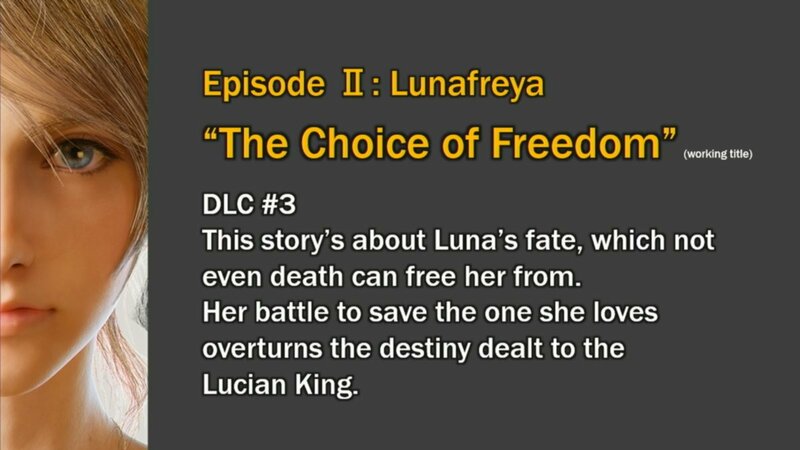 According to the official Final Fantasy XV twitter, the first ten chapters of the game are available for download, with the first chapter being free to play. 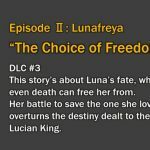 The rest of chapters, however, do have a price tag with them, with chapters two and three being available for $0.99 USD, and the remaining chapters being available for $3.99 USD. You can also purchase them all at once for $19.99 USD. Final Fantasy XV Pocket Edition is the entirety of FFXV made compact to fit on mobile devices, allowing fans to enjoy the game on the go. 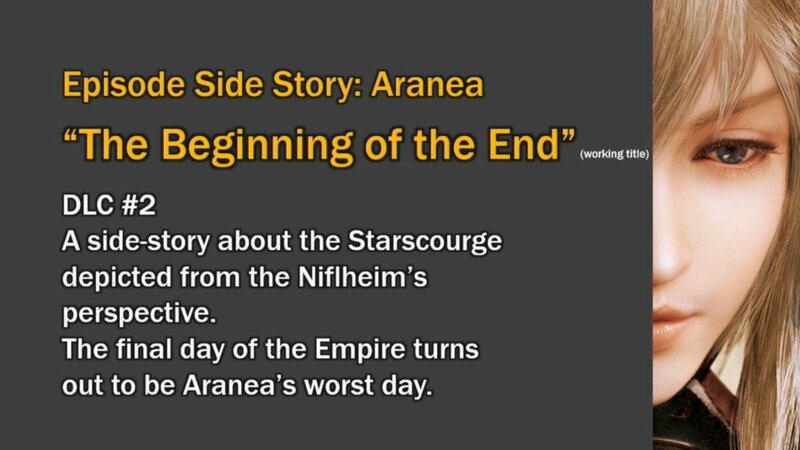 The story and dialogue remains roughly the same to the original version of FFXV, but the graphics have been altered to be more mobile friendly, giving all the characters a cute chibi-like appearance. 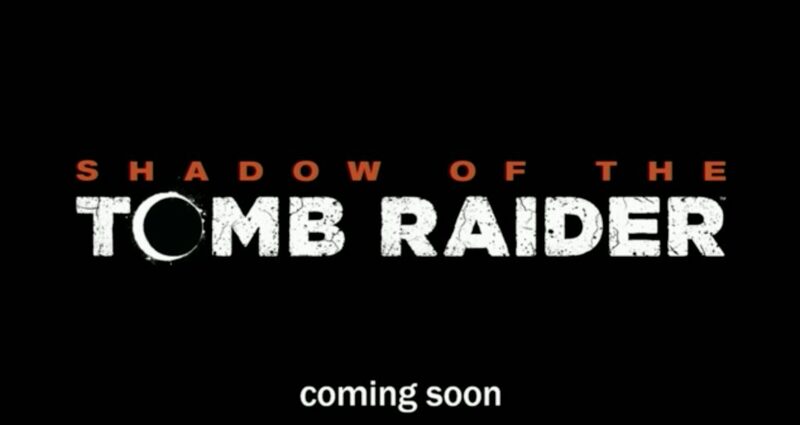 You can check out the launch video below. Final Fantasy XV Pocket Edition is available now for android and iOS devices. 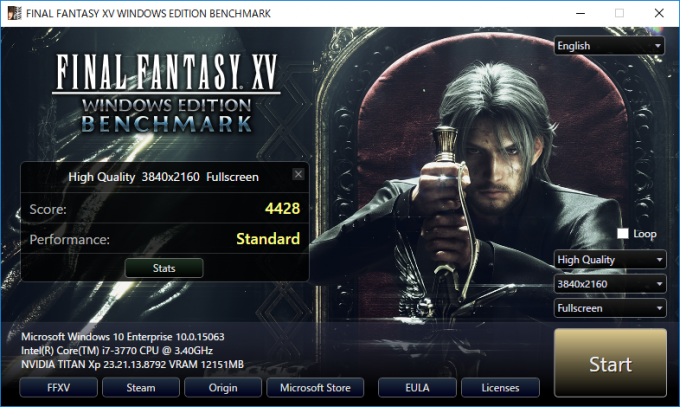 The official benchmark tool for Final Fantasy XV Windows Edition is now available for download on the Final Fantasy XV website. 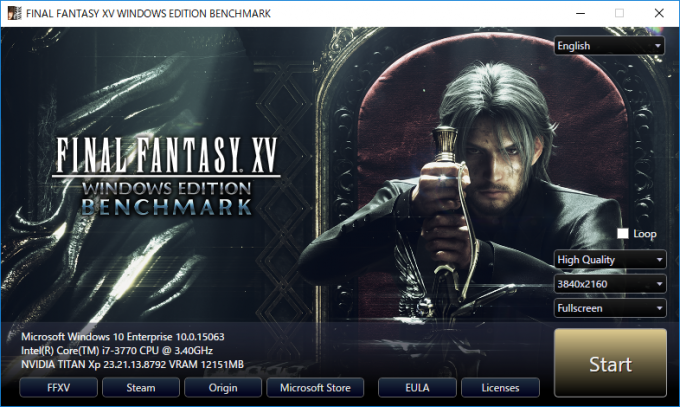 The benchmark will allow players to test their PCs and optimize them in preparation for the release of Final Fantasy XV Windows Edition on March 6th, 2018. 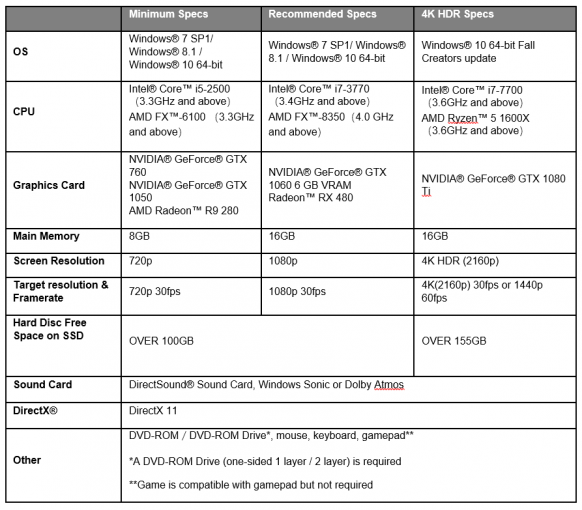 Alongside the release of the benchmark tool, some information regarding the special pre-order bonuses for the PC edition of FFXV was also revealed. Depending on the online store you order from will determine the pre-order bonus you will receive. 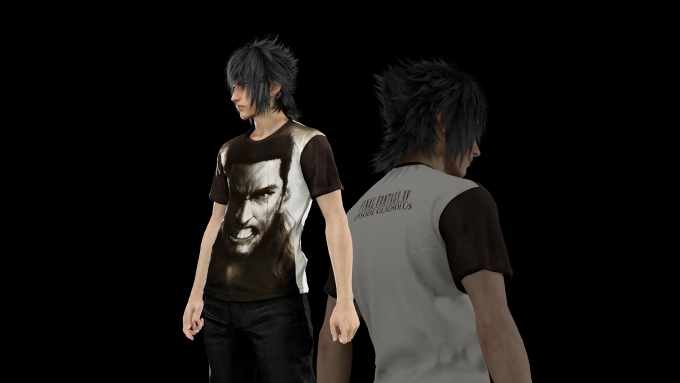 Players who pre-order FFXV Windows Edition through Steam will receive the “FFXV Fashion Collection.” This bonus pack contains a selection of shirts for Noctis to wear and gain a special buff. The Episode Gladiolus shirt enhances strength, Episode Prompto accelerates your HP recovery rate, Episode Ignis increases your critical hit rate and the Comrades shirt increases your maximum HP. 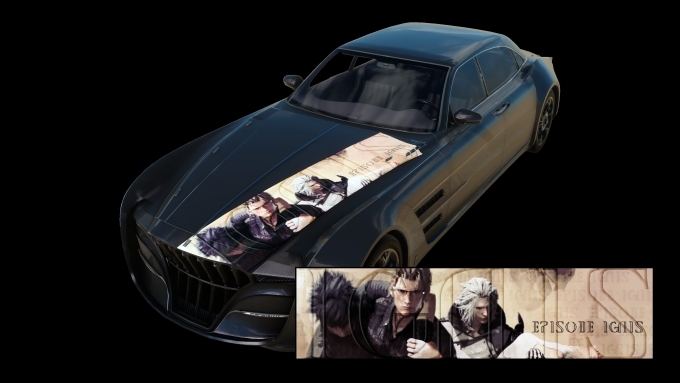 Players who pre-order FFXV Windows Edition through Origin will receive the “FFXV Decal Selection.” This pack contains an array of artwork decals for the Regalia, such as artwork involving Gladiolus, Prompto, Ignis and the men and women of the Kingsglaive. 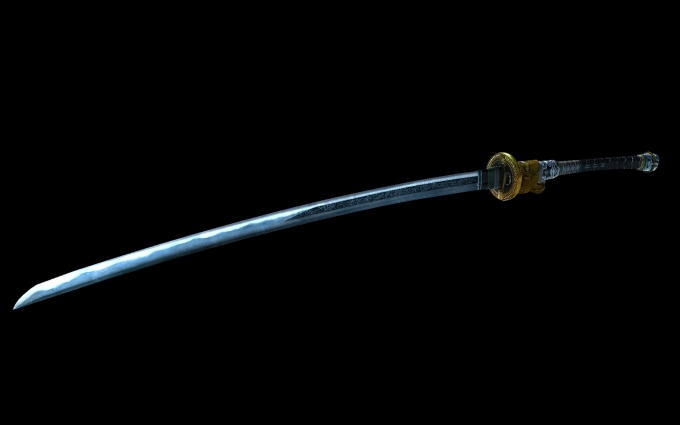 Players who pre-order FFXV Windows Edition through the Microsoft Store will receive the “FFXV Powerup pack.” This pack contains the Dodanuki, a sleek sword created by a bladesmith that reduces enemy defense with each slash. This pack also comes with 10 phoenix downs and 10 elixirs. 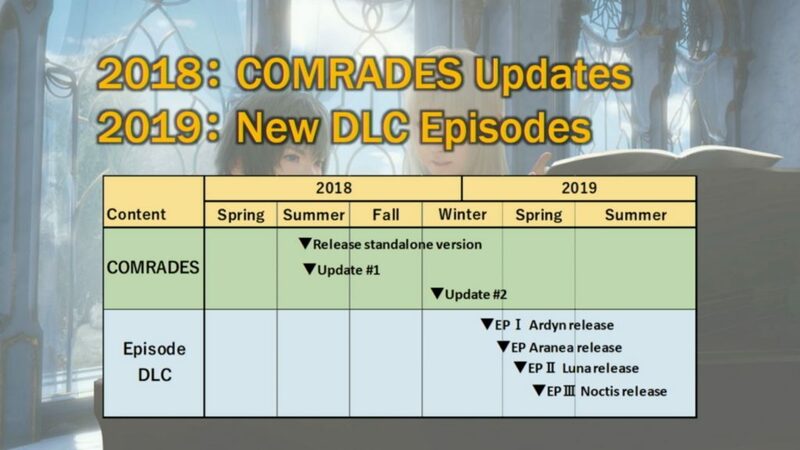 Square Enix also mentions that there will also be more early purchase bonuses, on top of the ones listed above, revealed soon, and that the official FFXV website will have more details on the matter in the near future. 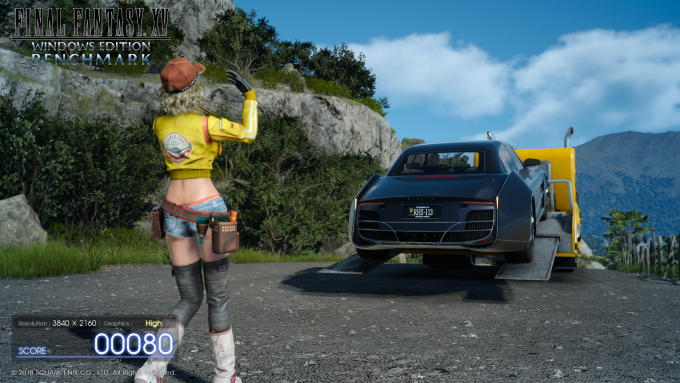 For more information about Final Fantasy XV Windows Edition and Final Fantasy XV Royal Edition, check out our other coverage. 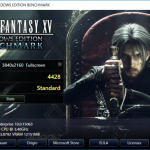 Final Fantasy XV Windows Edition releases worldwide on March 6th, 2018 alongside Final Fantasy XV Royal Edition for Playstation 4 and Xbox One.